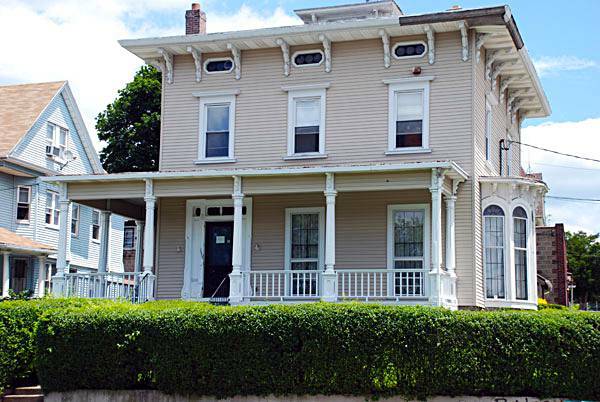 The Tina Klem Serenity House is a recovery house for twelve women who have co-occurring substance use and psychiatric disorders. The women served may also have a history of trauma. The Serenity House will accept referrals twelve hours per day, Monday through Friday, and will ensure the target population is served through a comprehensive screening and assessment process. RNP welcomes and serves individuals receiving medication assisted treatment, such as Methadone, Suboxone and Vivitrol. Within the ninety day stay, residents will be provided with a variety of psycho-educational groups such as life skills training, parenting skills, employment search and maintenance skills, anger management, relapse prevention, health and wellness, safety and coping skills. A very special thank you to the staff of Her Haven, students from the University of Bridgeport’s Shintaro Akatsu School of Design, many volunteers an local businesses who donated their time, effort and goods to help create this beautiful and serene environment for woman to recover in. For further information regarding the home and designs, please see an article written by Karen Kovacs Dydzuhn in the Monroe Courier.